Blog Are you ready for your New Medicare card? Are you ready for your New Medicare card? 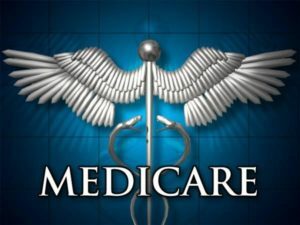 Medicare will start mailing new ID cards in April 2018 that will have a special number on it called your Medicare Beneficiary Identifier (MBI). Your new card will no longer include your social security number. The Center for Medicare and Medicaid Services (CMS) has also indicated that it will take up to two years to distribute all of the new cards. In other words, you may not get your card at the same time as your neighbor. Washington residents are expected to start receiving cards toward the end of the “wave,” which could mean 2019. Additionally, the new ID cards will be printed in paper same as your current cards. Paper cards will save a significant amount for taxpayers and make it easier for providers to use and copy. Furthermore, if you lose your card, you will be able to look up your new ID number online. The Medicare ID card has not seen much change in 50 years since its enactment. Removing your social security number with new cards has been many years in the making and is estimated to put a dent in the $60 billion dollars taxpayers pay each year due to Medicare Fraud.